…the projection-mapped installation by Ravensbourne University students Mike Alger, Ana Mickovic, and Jenil Buria. 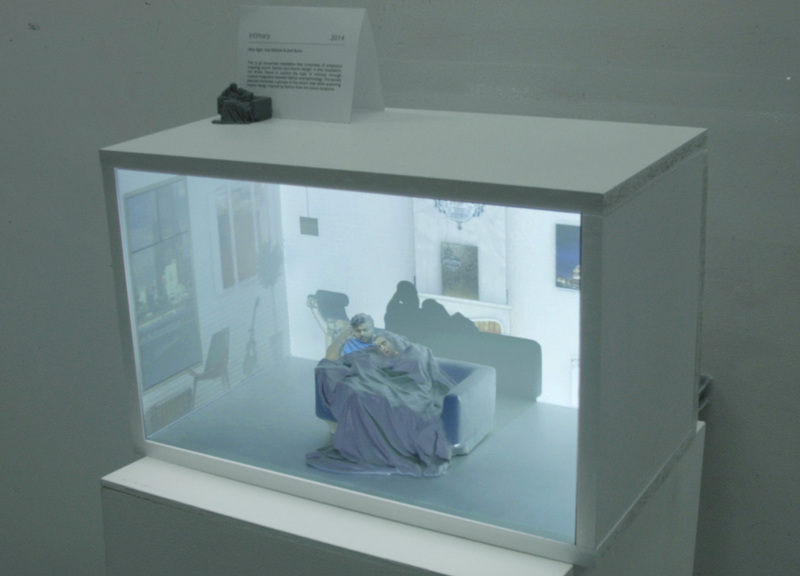 Projected onto a 3D-printed diorama, different videos and textures appear to transport a couple cuddling under a blanket into different locations on Earth. LED “pico” projectors have become common, as has 3D mapping software and techniques. So could lighting designers start to marry Revit models, lighting simulations, and miniature projection mapping to study how light affects a space? It would be a fantastic presentation tool to show clients the impact of design choices. It’s like a big, digital dollhouse. I think it would be great combined with interactive block tools to setup and experiment with control systems.